In this episode, we are joined by a very special guest, Santa Claus, who called into the podcast all the way from the North Pole to share the role that O.R. and analytics plan in his annual journey to deliver toys around the world. In addition, you will hear from the INFORMS volunteers and the nonprofit leadership of the INFORMS Pro Bono Analytics projects for the Baltimore Teacher Supply Swap and Young Audiences: Arts for Learning of New Jersey and Eastern Pennsylvania, who share how O.R. and analytics helped these organizations better serve their communities. For the homeless men, women, and children of Phoenix supported by St. Mary’s Food Bank, a helping hand came from an unexpected source – just over 1,000 snack packs totaling 1,002 lbs. assembled by the attendees of the INFORMS 2018 Annual Meeting, held in Phoenix, November 4 - 7. 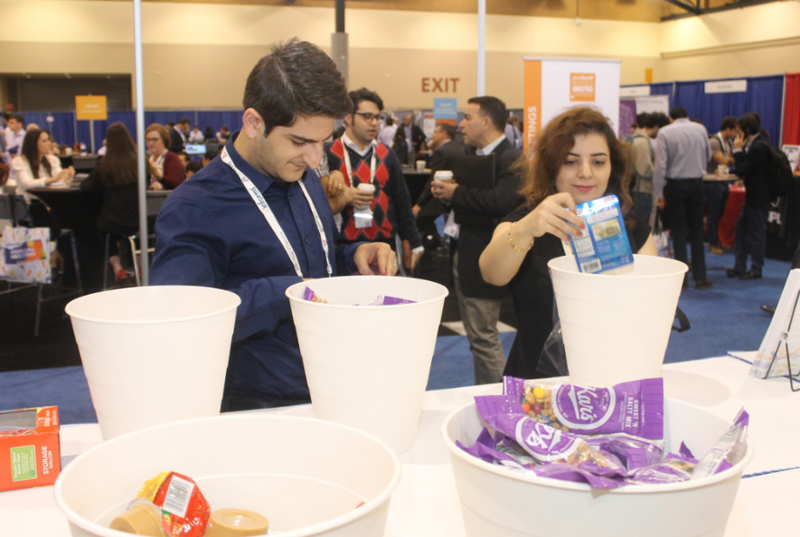 Pro Bono Analytics partnered with St. Mary’s Food Bank, America’s first food bank, to provide much needed snack packs donated by INFORMS and its conference community. In the weeks leading up to the meeting, INFORMS members and conference sponsors donated nearly $11,000 through donation matching with the help of an anonymous donor to purchase the supplies for the kits. 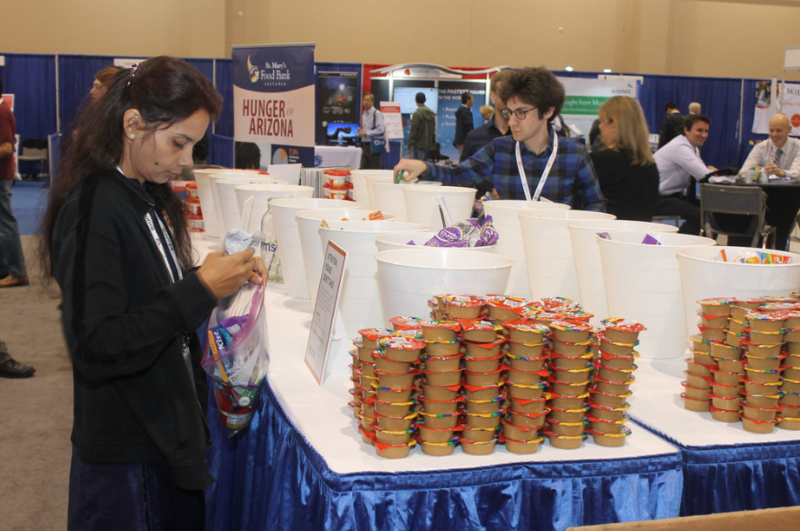 Throughout the four-day Annual Meeting, attendees from around the world, INFORMS and St. Mary’s Food Bank leadership, and representatives from the INFORMS Pro Bono Analytics program volunteered their time to help with the assembly of the kits. 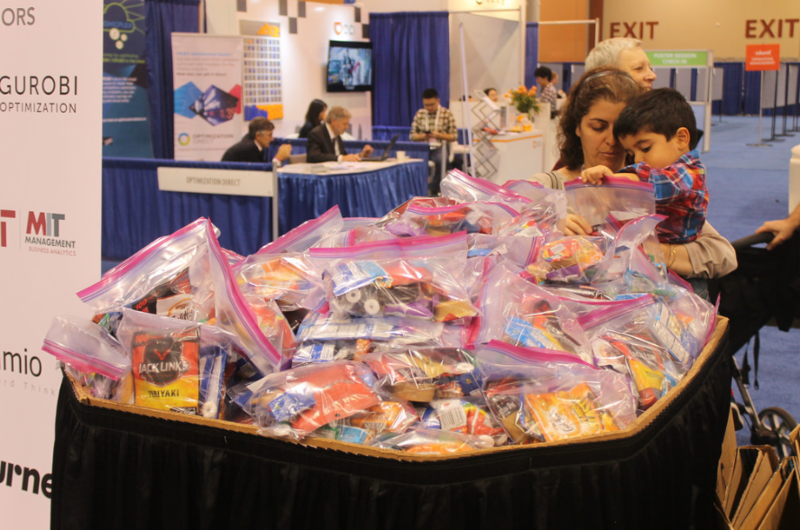 These kits contained items ranging from beef jerky to peanut butter and trail mix. Over 1,000 kits totaling 1,002 lbs. of food were presented to St. Mary’s Food Bank to be shared with Phoenix’s homeless men, women, and children. Whether you donated or helped us build a kit (or both! ), we are grateful for the generosity and support of those who joined us on our mission to make a difference for those who truly need a helping hand. Special thanks to our corporate donors: MIT School of Business Analytics, Penn State University College of Engineering, The Optimization Firm, AMPL, Gurobi Optimization, Lindo Systems Inc., Simio, and Turner. Pro Bono Analytics had the privilege of being invited to present to Baltimore nonprofits on June 7th, 2018. 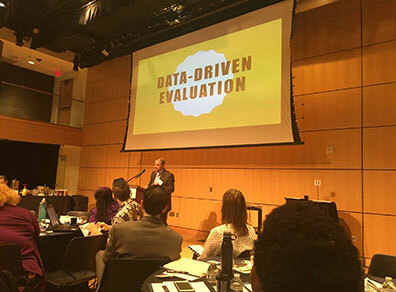 The Evaluation Symposium, hosted by the T. Rowe Price Foundation, had a primary goal of helping expose nonprofits to the need for data care. Most of the attendees were from smaller nonprofits, who spend the majority of their time working on the front lines, and look at data collection as a must have for donors and funders, but less of an asset to themselves. Our sincerest thank you to Turner Broadcasting for their donation in helping support Houston's homeless population through Star of Hope Mission. We are grateful for your donation and support. INFORMS, the leading international association for analytics and operations research professionals, partnered with Star of Hope Mission, an organization dedicated to meeting the needs of Houston’s homeless men, women, and children, to provide much needed hygiene and toiletry supplies, donated by the INFORMS conference community, corporate donors, and the Marriott Marquis Houston. In the weeks leading up to the meeting, INFORMS members donated thousands of dollars to purchase the supplies for 1,000 toiletry and personal hygiene kits. 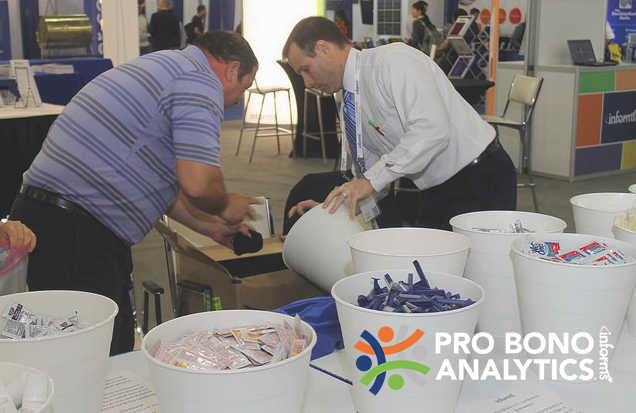 Throughout the four-day Annual Meeting, attendees from around the world, INFORMS and Star of Hope leadership, and representatives from the INFORMS Pro Bono Analytics program, volunteered their time to help with the assembly of the kits. 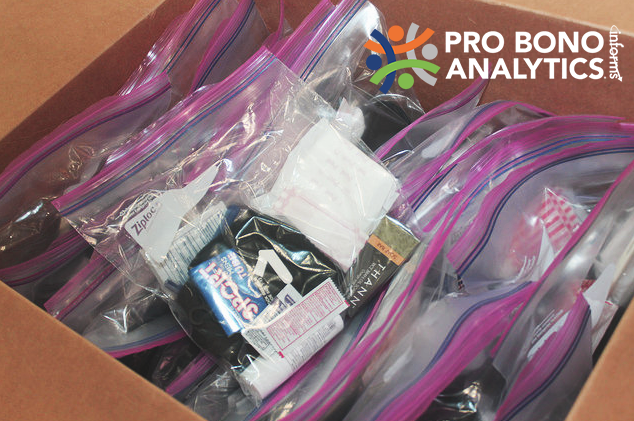 These kits contained items ranging from toothpaste and soap to socks and feminine hygiene products. Special thanks to our corporate donors: Marriot Marquis Houston, AMPL, Artelys, FICO, Frontline Solvers, GAMS, Gurobi Optimization, Lindo Systems Inc., Simio, and Turner. Additional thanks to Brian Gurbaxani and his 10 year old son, Caleb - for Caleb's 10th birthday party he asked for and raised money to donate to Star of Hope. Our sincerest thanks for his kindness and generosity. 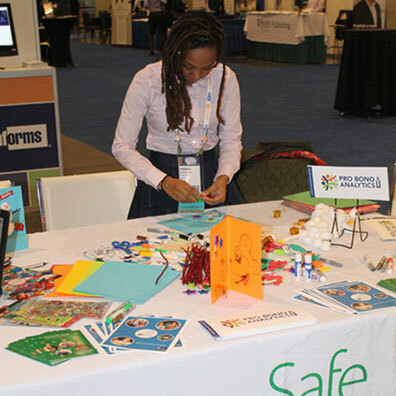 Lots of INFORMS Annual Meeting attendees contributed their time, enthusiasm – and artistic talent – to Safe Haven Family Shelter, a Nashville nonprofit organization that helps families move from the street to the shelter and then on to a permanent housing. Meeting attendees stopped by the Pro Bono Analytics table in the INFORMS Center to create cards of encouragement for Safe Haven families and learn more about the program. It was also an opportunity to learn about Pro Bono Analytics, an INFORMS initiative that will become a permanent program in January 2017. More than 50 new volunteers signed up for Pro Bono, bringing the total of interested volunteers to nearly 300! 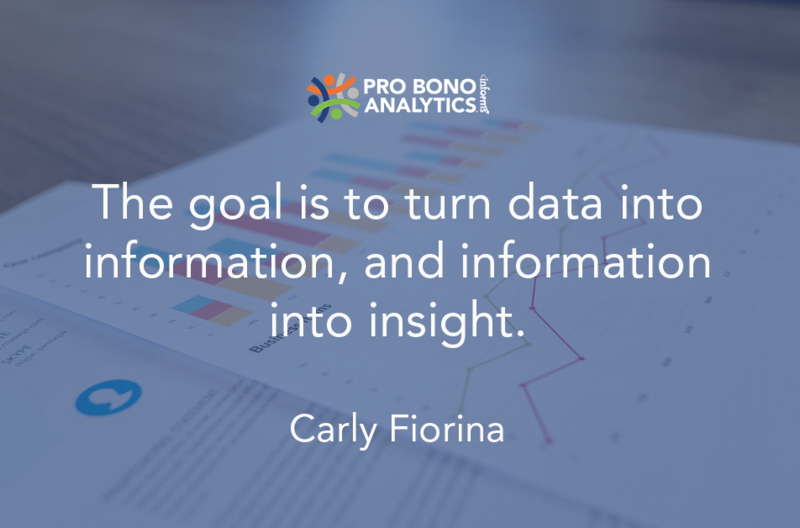 Pro Bono connects INFORMS members and other analytics professionals with nonprofit organizations working in underserved and developing communities. Our volunteers have the satisfaction of giving back to the community by applying their skills and knowledge to the nonprofit world. Volunteers also gain great experience by being exposed to new and interesting problems, taking a project from problem definition to solution, and expanding the depth of their CV. Click for details on Pro Bono and how to become a volunteer.